Most parents try to treat their twins as individuals, but most unwittingly undermine their best intentions because they lack a practical set of guidelines for raising emotionally healthy multiples. 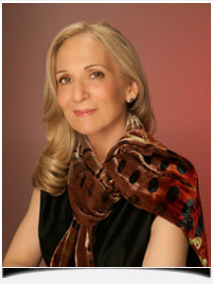 Drawing on her unique experience as a twin, the mother of twins, and as a psychotherapist, Dr. Joan A. Friedman outlines the seven key concepts for helping twins develop into self-realized, unique individuals and offers parents specific strategies for each stage in their children’s growth. 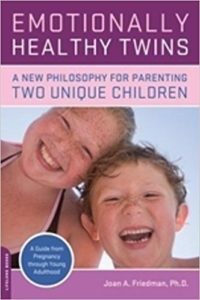 From how to set up the nursery to handling playdates and extracurricular activities, from deciding on same or separate classroom education to encouraging grandparents and other family members to think beyond the pair to see individuals, Emotionally Healthy Twins will become the standard reference for parenting twins.